A slew of Christian leaders and First Amendment activists have been heaping praise on federal judge Neil Gorsuch, President Donald Trump’s Supreme Court nominee, pointing to Gorsuch’s record on religious liberty, among other issues, to voice fervent approval. 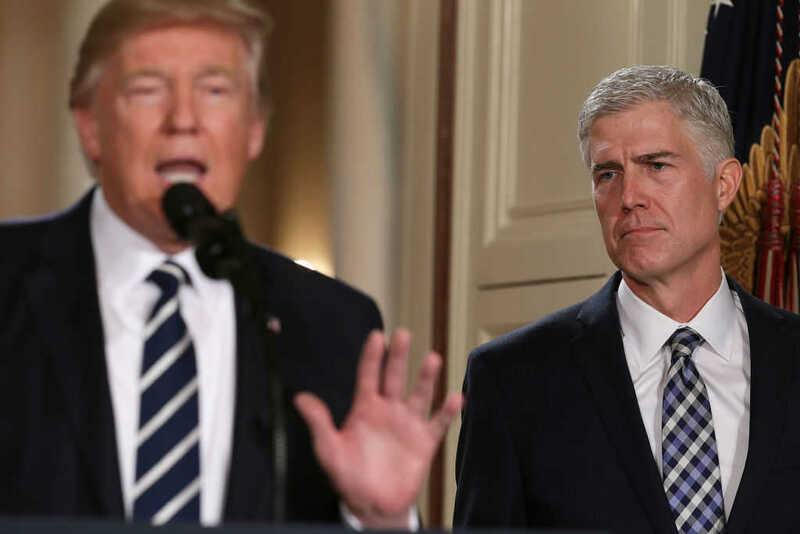 “When it comes to religious liberty, Judge Gorsuch is smarter than your average bear,” Eric Rassbach, deputy general counsel at Becket Fund, a religious liberty nonprofit, said in a statement to Faithwire. And Kelly Shackelford, president and CEO of First Liberty Institute, yet another religious liberty law firm, agreed. Others joined in on that chorus as well, including Carl Anderson, head of the Knights of Columbus, a Catholic organization. Anderson released comments to Faithwire, applauding Gorsuch’s nomination and said that he believes, if confirmed, the judge will interpret the Constitution in its proper context. “I thank God that if confirmed, this administration will have delivered on one of its most critical campaign promises — to appoint a judge in the mold of the late Justice Antonin Scalia who will uphold and defend the Constitution of the United States and the original intent of its framers,” Dobson said. Even Russell Moore, president of the Southern Baptist Convention’s Ethics & Religious Liberty Commission — a fierce Trump critic — praised Gorsuch in a series of tweets, calling him qualified and specifically pointing to his First Amendment views. Judge Gorsuch has a strong record upholding our First Amendment guarantees of religious liberty and freedom of conscience. I hope we see strong bipartisan support for Judge Gorsuch for #SCOTUS. His qualifications are beyond question. Others like Christian author and public relations executive Johnnie Moore were more sweeping in their praise, pointing to the pledge Trump had repeatedly made during the campaign to select conservative justices for the Supreme Court. While there’s much praise on the conservative and Christian fronts, others are protesting against Gorsuch, with the Center for Inquiry, an atheist group, saying its leaders have “grave doubts” about the justice’s ability to protect the values of secular Americans. Protestors had already taken to the Supreme Court steps on Tuesday night to voice their frustrations over Trump’s pick — a judge who likely won’t be very sympathetic to liberal causes. For many evangelicals, though, Tuesday night was momentous in that it was the fulfillment of a promise that served as the sole basis of — or the main reason for — their decision to vote for Trump in November. Read what Ed Stetzer had to say about the Supreme Court, evangelicals and Trump here.